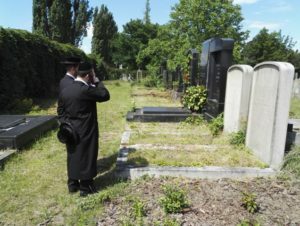 The media reported extensively the events at the Old Jewish Cemetery on Monday as well the examination of the yard at Drozdovice, paved with gravestones. 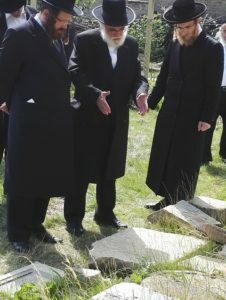 At the end the visit, the delegation of rabbis also visited the New Jewish Cemetery, where the bodies of about 500 Jewish citizens of Prostějov are buried. The rabbis prayed there and examined the inscriptions on the old gravestones from Studentská Street. Rabbis discuss over the historic gravestones from the old cemetery. 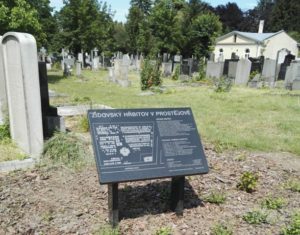 The New Jewish Cemetery is the property of the Federation of Jewish Congregations, takes care of it.